When you think about urban legends, you probably think of hook-handed madmen terrorizing teens at Makeout Point, giant alligators roaming the sewers, or the Bandage Man of Cannon Beach. They’re usually the stuff of horror movies. Stories related from one person to the next, often accepted at face value. Some are outlandish, others are more believable. Widely believed misinformation doesn’t stop there. There’s a ton of material out there to read about divorce. Much of it’s accurate, but much of it isn’t. It’s often hard to tell which is which; what’s real and what’s basically a divorce urban legend. Why is it important to know what’s true and what isn’t? Because while it’s not Sasquatch, it can have a huge impact on your divorce, that’s why. It’s crucial to have an accurate picture of the process. Based on bad information, people often set unrealistic expectations or even harm their own cases. It may not always be what you want to hear, but knowing what to anticipate goes a long way towards establishing your goals. With that in mind, here are a few common divorce urban legends to be aware of. These are things people often believe are true about divorce, but aren’t. Some are relatively innocuous, while others can do serious damage. “In custody cases, mothers always get the kids.” Odds are, you’ve heard someone say this or something similar before. Many people believe that the courts automatically give children to the mother in these situations. It’s one of the most common divorce urban legends. Though many men feel they face an uphill battle in custody cases, as written, the laws are gender neutral. Fathers have just as much right to pursue custody as mothers. It may not always work out that way in reality, but on paper, it’s a more level playing field than many people think. More than anything else, the best interests of the child take precedence. If you cheat, you lose it all: the car, house, kids, maybe even the dog. That’s how it works, right? Sure, it makes for great drama on TV and in movies, but that’s not necessarily the reality. Adultery often costs people their marriage, but whether or not it impacts the divorce settlement is another matter. Oregon, like all other states in the union, practices no-fault divorce. This means that no one is legally to blame for the end of a marriage. It’s not about proving you’re right and she’s wrong. Courts don’t play moral police or use the division of property or child custody as punishment. If an affair caused significant financial strain or negatively impacted parenting ability, then it may have a bearing on the divorce settlement. Otherwise, this is one of the biggest divorce urban legends. This one makes a bit of sense. Or at least it sounds logical. You marry once, it doesn’t work out. But the next time, you’re older, wiser, more cautious, and learn from your mistakes. While it seems reasonable, this is also a common divorce urban legend. According to the U.S. Census Bureau, 41% of first marriages wind up in divorce. If second marriages fare better, that number would go down for subsequent unions. But second marriages have a 60% divorce rate. (73% of third marriages also end this way.) It helps to remember there are substantially fewer second marriages, so the pool is admittedly smaller. Still, that’s a significant number. This is another entry that, on the surface, seems reasonable and believable. Unmarried couples cohabitating is at an all-time high and people continue to push back the age at which they marry. Many couples live together to test the waters, to make sure they’re truly compatible before tying the knot. You already know you can live together, so it stands to reason a marriage would be strong and steady. Right? Wrong. Over the years, multiple studies have shown that couples who live together before marriage divorce at a higher rate than those who don’t. In divorce, it’s common to look for any advantage. People do all sorts of maneuvering and jostling for position. One common divorce urban legend is that the person who files for divorce first always wins. That’s simply not true. And while it can help in certain circumstances, rushing to get off the blocks first can also hurt your case. If you’re ready and have done all the legwork already, by all means, file for divorce first. It can impact jurisdiction and who presents their case first. But in the big picture, it’s much better to be prepared and have a solid strategy in place than simply being first. Divorce is a long process, and just because you’re fast out of the gate, doesn’t always give you an advantage. A common refrain is, “But what if my spouse doesn’t agree to the divorce?” While it’s true, your spouse can make it incredibly difficult to end your marriage, the government won’t force you to stay married against your will. This isn’t a Lifetime movie. Having both parties on the same page definitely makes it easier, but it isn’t required. You can file all of the appropriate paperwork, get the process started, and serve the documents. If your spouse doesn’t respond within the given time, you can file for a default. If granted, this essentially gives you a divorce on your terms because your spouse didn’t object. Again, it is possible to fight you every step of the way and draw the process out. This often becomes costly and time-consuming, but your spouse can’t actually stop divorce from happening. Many people believe that when you divorce, you simply split up everything you have equally and go on about your lives. That’s a common divorce urban legend. Oregon follows equitable distribution statutes in the division of property and recognizes two types of assets. If it’s earned or acquired during a marriage, it’s viewed as marital property. The law presumes joint ownership. Things owned before marriage, or items like gifts or inheritances, constitute separate property. But doesn’t equitable distribution mean you divide things equally? No. Many factors go into splitting up assets. Age, need, length of the marriage, and more play a role. In general, the courts aim for spouses to emerge on relatively even financial footing. If possible, the goal is for both to enjoy a standard of living similar to what they experienced while married. Rather than a 50/50 split, this is how divorce settlements usually play out. 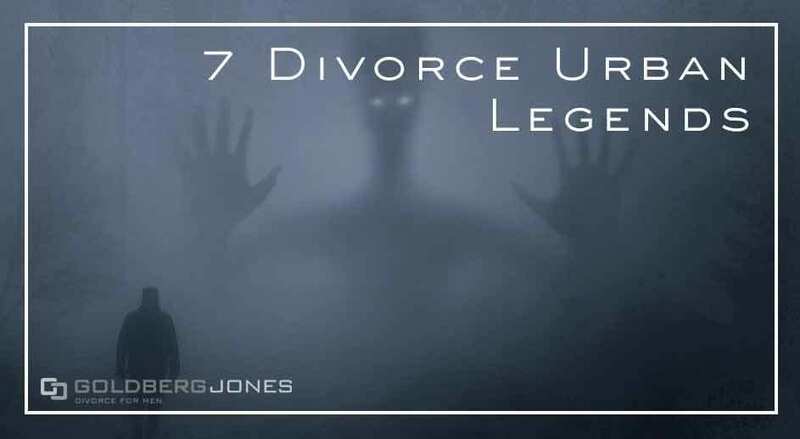 These represent just a few divorce urban legends, but people pass around all kinds of misinformation as fact out there. Common ones include that all divorces go to trial, you have to divorce in the state where you married, or that you can get a same-day divorce. With all the wrong information floating around, it’s important to know what you can trust. If you have questions about your situation or need to speak to a divorce lawyer, contact Goldberg Jones at our Portland office.